Click icon to visit site. "Illustrative Mathematics will provide guidance to states, assessment consortia, testing companies, and curriculum developers by illustrating the range and types of mathematical work that students will experience in a faithful implementation of the Common Core State Standards, and by publishing other tools that support implementation of the standards." Teachers: This site deserves a WOW. 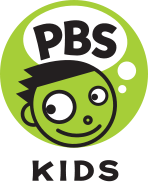 K-6 Lessons About the Lessons & Units What if I already use a core reading program? 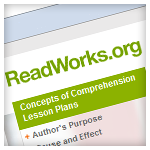 Over 500 New Nonfiction Passages (Lexiled) in Readingworks.org. aligned with the Common Core State Standards for Mathematics. A professional resource for educators passionate about improving students' mathematics learning and performance. This site thought of everything from ease of grading to ease of scoring. There are even different difficulty levels. I think you'll find this useful!